The ELT/572 DIRCM (Directional Infrared CounterMeasures) system belongs to the family of Elettronica ir-based ecm systems, designed to provide a reliable and effective protection of rotary and fi xed wing aircraft against current and future manpads threats. The system has already been integrated with a wide range of missile warning system (mws), ranging from uw to ir based systems. The system’s flexible architecture enables easy installation into a sps which already includes a mws system, both legacy and modern. 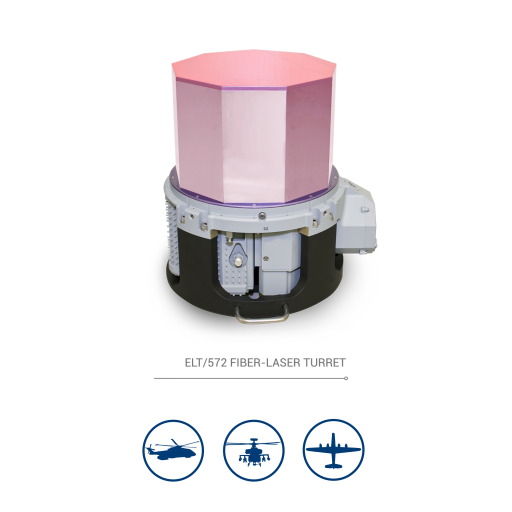 The ELT/572 is able to effectively counter threats up to the third generation of sa ir. Its fi ber laser technology enhances dircm effectiveness by improving performance, reliability and effi ciency, reducing the installation constraints and the even more critical and complex settingup, alignment and maintenance operations.